Essence is Lucinda Williams’ sixth album. It was released in 2001. It is a wonderful album, one of the best albums that year, hell, one of the best albums that decade! Essence was highly anticipated coming after a three-year gap from her lauded Car Wheels on a Gravel Road and the critical reviews reflect that. Although positive, none rate the album as highly as her breakthrough. Robert Christgau, who raved about Car Wheels, called the album “imperfect” but still praised her artistry saying “[she] is too damn good to deny.” Reviewers noted the difference in tone between the two albums with Rolling Stone citing the “willful intimacy” of the music while Spin contrasted its “halting, spare” presentation with Car Wheels “giddy, verbose” one. In a review posted by Salon the album was called “an emotional mess of a masterpiece”. 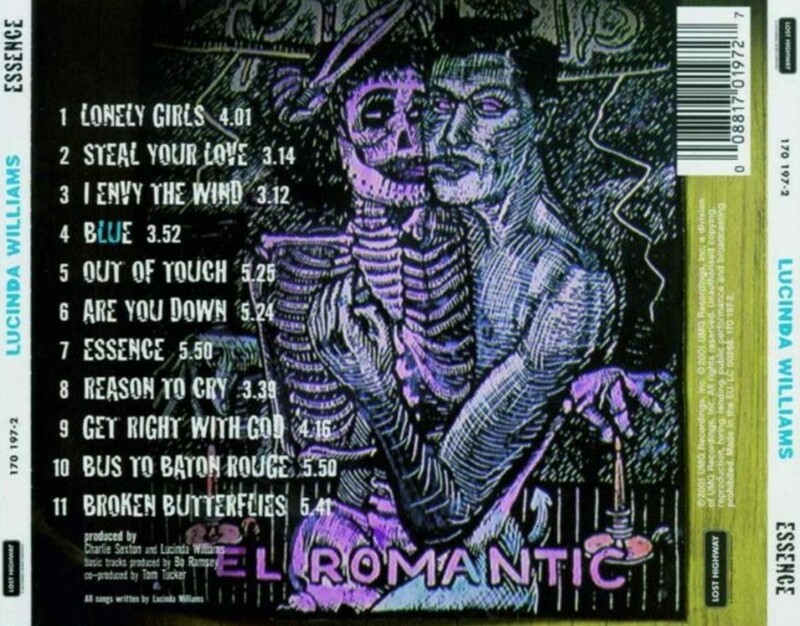 Q listed Essence as one of the best 50 albums of 2001. Personnel on the album include Tony Garnier and Charlie Sexton, best known as part of Bob Dylan’s live backing band then and now. The album also features session drummer Jim Keltner, another Dylan collaborator. 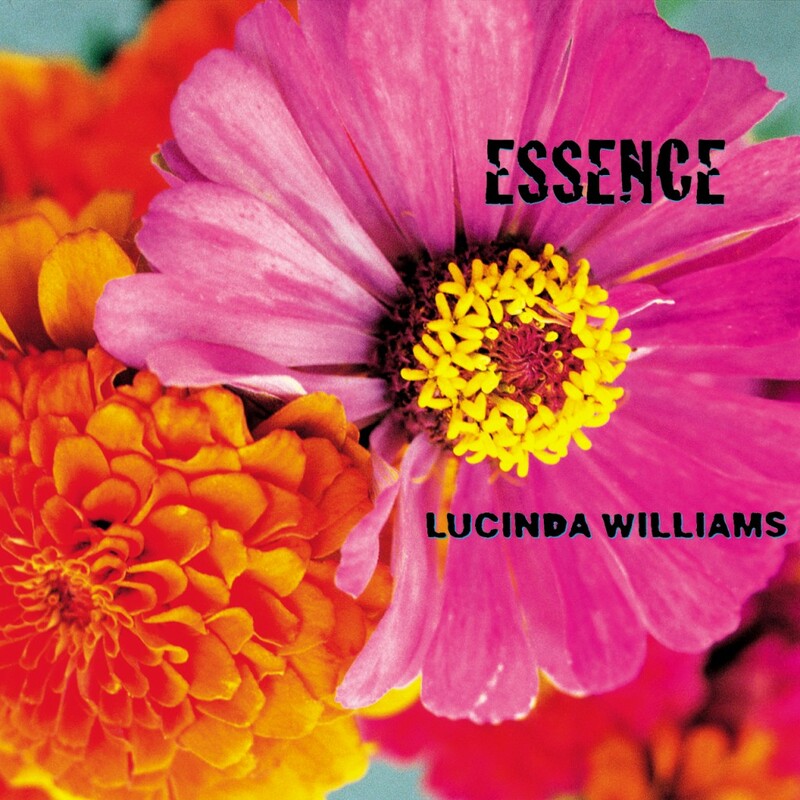 Essence is my favourite of all Lucinda’s albums; each of the songs is stunning in its own way and they add up to an intellectually satisfying and emotionally moving whole – and the band sound like they were really on it. Charlie Sexton is way underrated. A work of genius imho. Her latest (Down Where The Spirit Meets The Bone) is also really, really good. She has 3-4 masterpieces among her album, she is a wonderful songwriter!